Woh jo eidon ki baat karte hain. Purani ranjishon ko bhool jao, eid ka din hai. Dede tera saath eid ka tohfaa samajh ke…. Pardes mein ankhen kayi namm hongi. Gham ke aansu they jo khushiyon ke bahane nikle. On the occasion of celebrating special festival we usually miss our relative, lovers, fiancé, or the one who are away from us. We get in touch with that persons by our hearts. Here such a situations happens to the poet and their feeling representing in the way of shayari, sms by Avnavu.com. 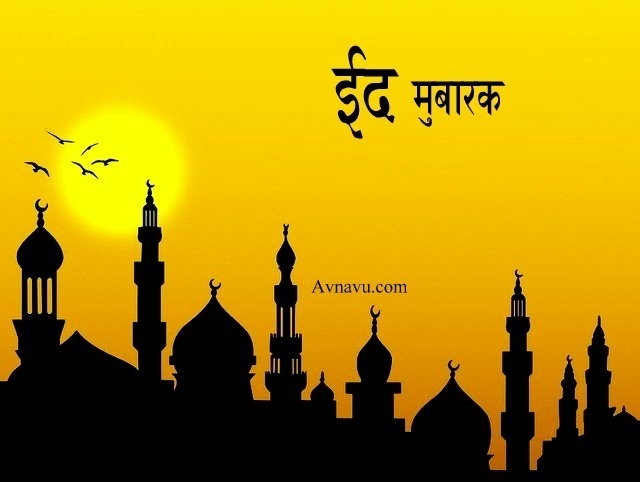 So we promise that you may like our best collection of Eid shayari, sms and you may also share this on facebook, twitter, gplus and other social sites where you connected with your friends, relatives, classmates, fiancé or someone else. chaand raat ko Mehendi se mera naam likha us ne haath per. Qasam hai apni ankhon ki, hamari eid ho jaye. Meri zaat-e-gumshuda tujhe yaad aye.